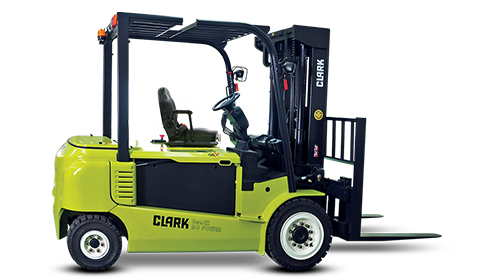 Mid Atlantic Industrial is your authorized CLARK Electric Forklift dealer In York County. 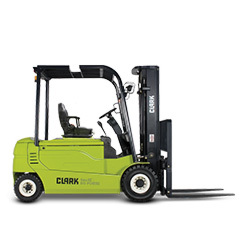 Looking for a CLARK Electric Forklift for sale? 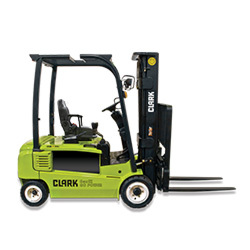 Mid Atlantic Industrial carries a variety of CLARK forklifts for sale. 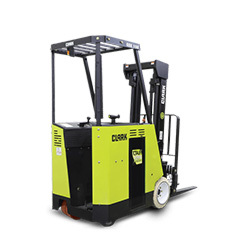 In the past, one truck would be used for outdoor applications and another truck would be used for indoor warehousing. Now one GEX can handle both environments, leaving you with the thought… two “hands” aren’t always better than one. 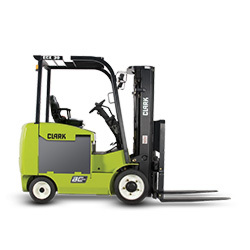 Call (888) 383-LIFT or click here today for more information on CLARK Electric Forklifts! 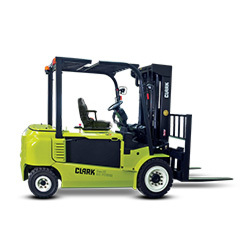 ELECTRIC GEX 40/45/50 is great for indoor and outdoor manufacturing, warehousing and shipping / receiving. Fewer parts and minimum wear. The steel frame, solid pneumatic tires and large drum brakes ensures that the Tow Tractor operates with the same ease of use & flexibility. 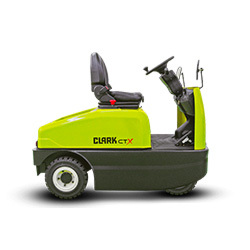 The CLARK ECX series of electric lift trucks is the ideal choice for demanding manufacturing and distribution applications. With superior ergonomic design. 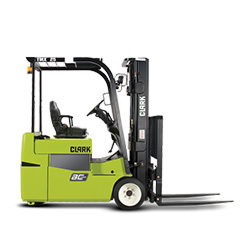 In the past, one truck would be used for outdoor applications and another truck would be used for indoor warehousing. Now one GEX can handle both environments. ELECTRIC GEX 16/18/20S includes enclosed, brushless thermal and stall protection. Dual/powered reversing for tighter turns. Suitable for wet applications. The TMX continues the evolution of our three-wheel design with the efficiency, low maintenance and power of a 100% AC System. Rugged yet comfortable design. Aisle space is always at a premium. AC ESX is designed to be fast, energy efficient and inexpensive. Operators can negotiate those tighter spaces.